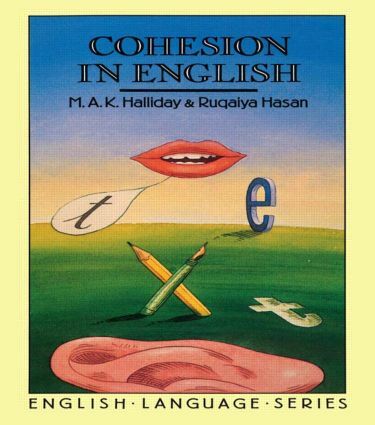 Cohesion in English is concerned with a relatively neglected part of the linguistic system: its resources for text construction, the range of meanings that are speciffically associated with relating what is being spoken or written to its semantic environment. A principal component of these resources is 'cohesion'. This book studies the cohesion that arises from semantic relations between sentences. Reference from one to the other, repetition of word meanings, the conjunctive force of but, so, then and the like are considered. Further, it describes a method for analysing and coding sentences, which is applied to specimen texts.